Law is a broad, all-encompassing term which affects everyone in their day-to-day lives. For businesses, law compliance must be a key consideration at all stages to run their business smoothly and efficiently. With more than 13 years experience of practising law in China, Jackie Zhang -- one of the youngest partners at the Tianjin branch of Gaopeng & Partners Law Firm -- shares her insights into how to communicate business law simply to aid foreign businesses operating in Tianjin. 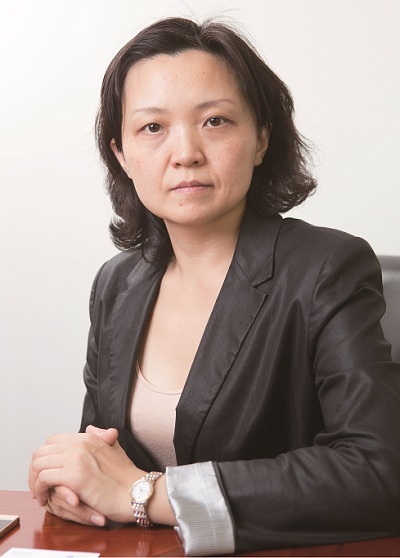 Zhang, also a published writer with her own book entitled 'Business in Chile: A guide book of Chilean investment law' also benefits from international law experiences. She shares with us her thoughts on the importance of cultural communication when it comes to business law. Can you tell us a little more about your background and how you first got into law? I first graduated in Chinese law at the China University of Political Science and Law, and practised law for two years after becoming qualified. Then, in 2001, I spent some time studying International Commercial Law at the University of Nottingham in the UK, where I also focused on intellectual property law, international contracts and business law. When I completed my study, I came back to China in 2003 to work for a big law firm in Beijing. Later I returned to Tianjin and Gaopeng as a partner in 2009. Please give a brief introduction to your company, Gaopeng & Partners. What does the company do and what areas of legal expertise does the company mainly focus on? Gaopeng & Partners is a business law firm which focuses on providing legal services for business entities of all sizes -- from large scale corporations to SMEs. We provide legal expertise to businesses and offer the best advice no matter what stage the business is at. From the setting up of the business in Tianjin, to the dissolution, our partners can provide a range of legal advice to cater to business customer needs. Gaopeng & Partners has branches all over China. We are headquartered in Beijing but have eight offices in total including Shanghai, Yangzhou, Taizhou, Nanjing, Hangzhou, Huangshan and Huhehaote. In the Tianjin office, we are comprised of 20 lawyers and four partners, of which I am the youngest. Due to the nature of Tianjin's position, we specialise in maritime law, but also have special expertise in banking law. Furthermore, one of our partners specialises in providing business legal advice to Japanese businesses, and aiding foreign company investment in China. So, you could say, our legal expertise is very wide ranging. Law covers a broad range of industries and sectors. What made you so interested in working in business law in particular? Whilst criminal or administrative law can be interesting, I have always found business law the most fulfilling for a number of reasons. As a business lawyer, you can help a business entity or a young businessman and aid a business from its early stages to grow and become successful. In each step, you can see how your own hard work has benefited the business. Another reason is that because I have studied in the UK, I can speak English fluently. Recently, I have also been studying Spanish and I can take advantage of these language skills to help service more foreign companies in China. I find providing legal expertise to foreign businesses in particular very interesting as I enjoy facilitating cultural exchange through law. Law is not a simple aspect. A business lawyer's role is to marry both culture and the law to help the client to understand, observe and make sure their operations run as they expect. It is a challenging job but also very rewarding. For foreign companies, doing business in China or Tianjin in particular has become more attractive in recent times with the introduction of initiatives such as Jing-Jin-Ji and the Tianjin Free Trade Zone. How do you think this will affect the relationship between the business investment and the Tianjin law sector? For initiatives such as Jing-Jin-Ji and the FTZ, I think that Tianjin should and will play a key role, especially in the manufacturing industries. That is the mission of Tianjin. As lawyers, I think we should work in collaboration with the government to provide much better legal services to the manufacturing industries in particular. Together we can work hard to create new policies and incentives to attract foreign businesses. Currently, we are already in contact with other lawyers in the 'Jing' and 'Ji' areas and are writing some articles with suggestions for the government to improve legal services for foreigners. Doing business in China can appear risky and daunting for foreign firms due to a lack of understanding of business regulatory law. What is the key to communicating the Chinese law landscape in a clear and understandable way so businesses can carry out their operations in an efficient manner? Maintaining strong, long lasting relationships with lawyers in many countries is key. Gaopeng & Partners have many counter partners in other countries such as the UK and US and we often try to take time to meet with them to help learn about their culture. Learning about and exchanging knowledge of other cultures in law is beneficial to our foreign business clients so that we can help smooth the process of communicating the differences between the law backgrounds and provide the specific advice they require to carry out business effectively. At the operational stage, we might focus more on facilitating discussions, writing legal letters or providing step-by-step guidelines to highlight Chinese law that we think is important for the client to consider, and get them to think thoroughly about how the relevant management personnel will deal with it. To keep the information flow constant and transparent before a foreign business entity considers it a risk is an important challenge a business lawyer must overcome. Do you have any examples to share? In one case, a foreign business residing in the UK had just set up an office in China and they did not understand why they had to follow so many procedures for something that wasn't a company but just a representative office. They would refer to me for legal advice and opinions and ask the question of why it was so complicated in China. It was important for me to communicate the laws from my understanding and get them to accept the working culture in China. It's a matter of explanation and your role as an experienced lawyer to make your clients aware of the essential knowledge whilst remaining calm, at ease and comfortable with the relevant authority. For me, this isn't a difficult task and perhaps that is because I have a strong understanding of cultural communication. I like to foster transparent relationships so I can understand the needs and concerns of my clients. Another thing is overcoming the language barrier with foreign clients. Ensuring you can accurately communicate what they need to know is key. Can you summarise why customers should consider Gaopeng & Partners over any other local law firm offering similar services or a well known globally established law firm? We have overseas resources and strong relationships with foreign lawyers. We believe in their abilities to provide expert legal advice for foreign businesses, whatever the need is. For clients needing a more local presence, we also have strong links within Tianjin and therefore we can communicate very well with the relevant authorities to provide a direct link. We also have a good understanding of business in China and Tianjin, so we can provide precise advice to avoid risk for businesses looking to establish themselves here. Is there a sense of competition amongst other local firms with similar service offerings? On one hand, our clients are very loyal to us because of the good work we do and the long-term relationships we maintain, therefore other firms are not a consideration. However, I also see the excellent work of others in Tianjin and beyond, in cities like Beijing. The typically ambitious nature of lawyers also means there is always a sense of competition. But there is also evidence of cooperation where it is needed. What is the key to delivering outstanding service to your customers? Guaranteeing the quality of the legal service to the client is the most important thing. For the legal aspects, we have plenty of resources and use top quality information services to carry out our legal research. It means that we can acquire very up-to-date information regarding the law. We also maintain very good relationships with the courts and arbitration centres here in Tianjin so as to make the legal processes run smoothly. Finally, we also write articles to provide advice and information about law. China is not renowned for changes in law or the drafting of new law, so when it does happen, it is essential that we provide up-to-date news for our clients. In some cases, we also provide legal training for our clients. We also take an active approach to keep in tune with news relating to our clients by attending commercial events. We maintain good relationships with the chambers' of commerce from many different countries as another way to actively obtain new information about the business environment to provide to our clients, or potential clients. One of your areas of expertise is corporate compliance for businesses. Why do you think it is important for businesses to pay close attention to this practice of law? From my experience of visiting other countries and maintaining relationships with lawyers all over the world, I have come to see that the world is very complicated but corporate compliance, according to the law, is critical to any business. This is something that is not complicated to understand but some businesses may need more guidance than others. This is where we can help. 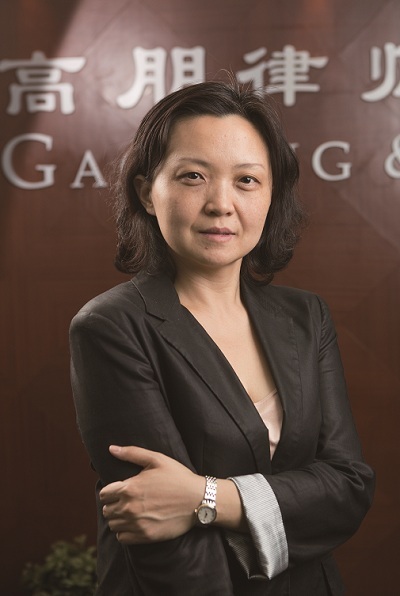 What other hot topics are emerging in the Chinese law industry right now and in what ways can Gaopeng & Partners utilise its expertise to help deal with upcoming challenging issues? Anti-corruption laws are of particular interest to business entities right now, both foreign and domestic. In the US, the Foreign Corrupt Practices Act (FCPA) is one of the main areas which we are focused on. In the US, they are delivering daily training for high management personnel to help deal with such legal issues. Last October, I was training in Philadelphia in order to gain a better understanding of the legal landscape, so clients can seek our advice on such hot topics.